Silver bullion is a type of silver that comes in the form of silver bars, coins, or rounds. Silver bullion is manufactured in different ways; some have unlimited mintages while others possess higher numbers as well as more expensive prices. The most affordable way to purchase silver bullion is in the form of rounds and bars, as they are considered purer, and offer more flexibility to resell them in the future. 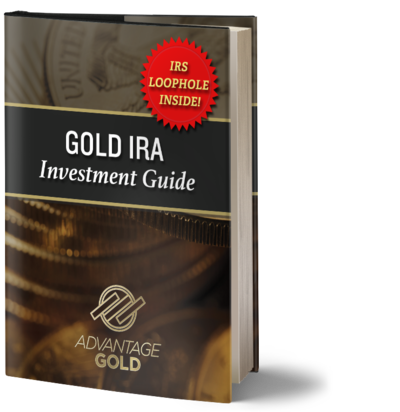 Related Topic: Why Invest in Silver with a Silver IRA? There are various types of silver bullion available, in particular, silver bars, coins, and rounds. Some people purchase them in order to collect a certain piece, but others collect them for pure investment purposes. Are one of the most popular ways to invest in silver, and are also extremely popular among collectors. Countries all around the world produce beautiful forms of silver bullion coins; among the well-known types are the United States’ American Eagle, and Canada’s Maple Leaf. There are thousands of other coins that have their own unique characteristics that make great investments and additions to any collection. The general rule of thumb when learning about the value of coins is that the newer the version is, the more expensive the investment will have to be. The condition of the coin isn’t always taken into great consideration when purchasing silver bullion coins, although the most expensive varieties are those that have been preserved well. Are another popular way for investors to start getting into the silver bullion market. Silver bars are highly coveted because they are easy to accumulate, store, and have only minimal premiums associated with them, if any. Silver bars also come in many sizes, allowing buyers with various budgets able to find one that fits their portfolio. Even if you have just a few hundred dollars, you can already invest in silver bars, although serious investors also collect them in large quantities. In terms of physical characteristics, silver bars are merely slabs of silver that will vary in dimension according to the mining company or manufacturer which is why most silver bars bear a company logo or seal on its surface. Each bar is made up of .999 pure silver, and is among the purest forms of silver one can obtain today. Are typically a piece of pure silver that is shaped just like a coin. They can come in the shape of commemorative designs, but can also be simply a blank piece of round silver metal. The main difference between a silver round and a silver coin is that the coin, such as the American Eagle, was commissioned by the government and therefore makes it a collectible. The condition of the round doesn’t play a part in determining the value of the coin, although the weight is very important. When shopping for silver bullion for the first time, there are helpful tips to keep in mind. Silver can come in various sizes, including 1 gram, 5 grams, half an ounce, and so on. Tip #1. One of the phrases you will keep coming across is the spot price, which refers to the current going rate for silver that is paid per ounce. Ideally when you do your research, you should already have an idea of the spot price, and buy silver that is as close to the spot price as possible. Some sellers mark up 1.00+ per pound, and will also take some of it as a premium when buying it back. Tip #2. It is also helpful to watch the stock market, so when you see that the price for silver has gone down, that means that it’s a good day to buy some silver. If you are looking to keep your silver in possession for the long term, it’s best to purchase 10 or 100 ounce bars. 1. Why should you invest? Investing in silver allows any buyer to translate the investment into real money, because there is a huge potential for you to earn significant gains in the future. The price of silver continues to grow, and doesn’t depreciate unlike other types of assets. Like other metals, silver has proven itself to be one of the safest investments as it continues to be a highly valued metal even centuries ago. 2. Is it better to buy bars or coins? The answer would lie in the type of investor you are; as you may prefer to invest in more risky products or not. Investing in silver coins is touted to be more challenging in the market, also because there are numerous ways to collect them. However, when you do find rare pieces of collectible coins, they can bring in big amounts of money although their value will depend on other factors such as wear, scarcity, and its appearance. If you would like to get the most out of your money, the safest way would be to invest in silver bars. 3. What is Silver Accumulation Plan (SAP)? This is a type of silver savings plan where financial institutions offer clients a way for them to transfer fixed amounts of money and convert them into silver. Clients can do so in small amounts, with lower premiums when compared to the actual purchase of silver bars or coins. 4. Where is silver mined? The amount of global silver production has risen to 787 million ounces in 2012. Silver is mined all over the world, with some of the top producers being Mexico, China, Peru, Australia, Russia, Poland, Chile, United States, and Argentina. Where to buy silver bullion? Silver bullion bars can be purchased over the counter in some banks in Europe, although in the United States they need to be purchased with direct sellers or if you have a contact with mining organizations. Purchasing silver from a metals company will incur a certain premium, but the most affordable and legitimate way to avoid the premium is by purchasing from online sellers on the Internet.